Destruction of camps and threats to Tsotsil population as forced displacement increases conditions of vulnerability and risks for 1,146 people. Nine camps which housed internally displaced people in Chalchihuitán, Chiapas, were destroyed on December 21, 2018, between 14:00 and 17:00 hours, approximately, in a context of aggression on the part of Hermelindo García Núñez, Municipal Union of Chalchiuitán, member of the National Action Party. 238 displaced families in the Barrio Shishimtotik, Tulantik, Ch’enmut, Bololchojon, Cruz K’ak’anam, Jolcantetik, Cruzton, Bejelton, and Barrio Pom camps lost the few belongings they had in the houses made of plastic, wood, and some with sheets. They also demolished toilets built with donations from solidarity organizations such as Caritas. The population, mostly women and children, moved again after the aggression and intimidation. Families have lent them spaces, but there have been threats to expel anyone from their community if they help displaced people in this way. 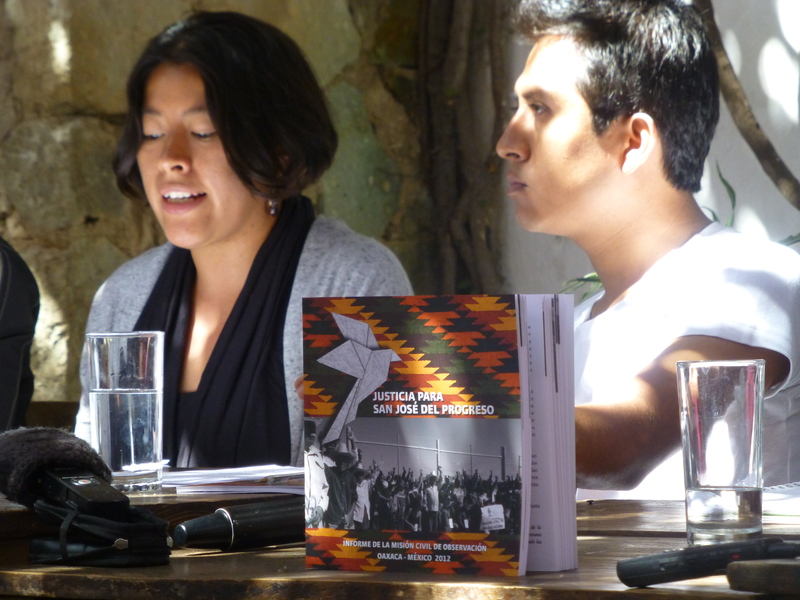 Testimonies say that community authorities prohibited humanitarian access, and threatened to tie up and burn representatives of the Chalchihuite Committee, as well as anyone who tries to enter the demolished camps. At least 1,237 people remain in forced displacement in Chalchihuitán, Chiapas, in conditions of vulnerability and risk, without being able to return to their homes because their land is on the edge of the conflict where armed groups from Chenalhó continue to fire weapons which intensify in the early hours of the morning. More than a year after the massive forced displacement of communities of Tsotsil people of Chalchihuitán, Chiapas, the situation remains serious and human rights violations continue due to the failure of the Mexican State. The government of Chiapas fails to comply with international commitments to care for and protect displaced people and violates precautionary measure No. 882-17 granted by the Inter-American Commission on Human Rights on February 24, 2018, “to guarantee the rights of members of indigenous peoples in a situation of risk to the life, safety, and personal integrity of the 10 displaced communities since November 2017. Guarantee the safety, integrity, and life of the population in forced displacement in Chalchihuitán, Chiapas. Stop the threats and aggression coming from Hermelindo García Núñez, Municipal Union of Chalchiuitán, against representatives of the Chalchihuite Committee. In accordance with the Guiding Principles on Forced Displacement of the United Nations, deal comprehensively with the forced displacement in Chalchihuitán, Chiapas. Chiapas: displaced families from Banavil return to their home to celebrate the Day of the Dead (November 3, 2018). Chiapas: State Congress asks the government to address the issue of forced displacement; displaced people from Colonia Puebla return to San Cristóbal de Las Casas (October 30, 2018). National: 20,390 Forcibly Displaced in 2017 – Over 329,900 in the Last 12 Years (May 11, 2018). 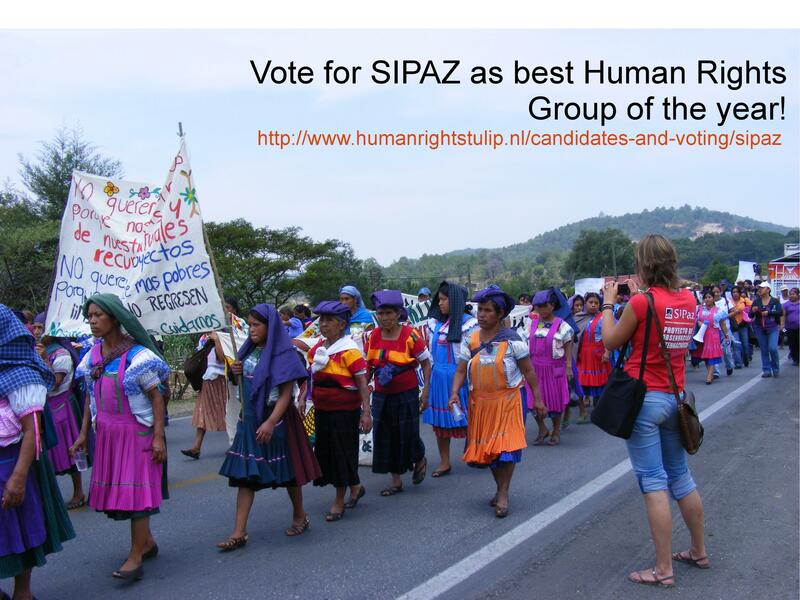 SIPAZ has been nominated for the Human Rights Tulp award! We have great news! SIPAZ has been nominated for the Human Rights Tulip, an annual award handed out by the Dutch Ministry of Foreign Affairs which stimulates the work of human rights defenders around the world. Out of more than 200 applicants, SIPAZ was selected to be one of the 30 nominees! Each year, the person or organization who receives most votes is awarded 100.000 Euros. Note: voting can only be done this week from September 9-16 so VOTE NOW! 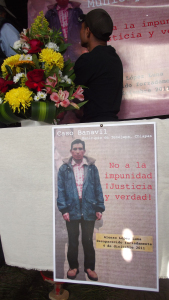 SIPAZ is a candidate for the “Human Rights Tulip” award! The Executive Commission of Attention to Victims published the Program of Attention to VIctims 2014-2018 in the Official Diary of the Mexican Republic on July 16th. The general goal of this program is to establish and coordinate the actions and necessary measures to protect, respect, promote, guarantee, and allow the effective exercise of rights for victims of crime and human-rights violations. The document focuses on five specific objectives: strengthening the coordination of the parts involved in the National System of Attention to Victims in order to reach its adequate functioning; assuring the victims of the effective access to services and measures of assistance, protection, and attention; the consolidation of a culture of respect for human rights among the public servants who are responsible for assisting victims; to guarantee victims access to measures of attention with a specific focus as well as emphasis on conditions of vulnerability; and the generation of measures of prevention, attention, assistance, and reparations for victims of specific crimes and human-rights violations. Following a series of sessions throughout the country during the past 11 months, the partisans of the Citizens’ Constitution explained the necessity of “refounding the country.” Toward this end 20 points have been presented, including guarantees for human rights and union organizing, beyond the implementation of a convention on the elimination of all forms of discrimination against women. There was also announced a planned meeting on 21 March “to discuss the political reality of the countryin terms of the elections for this year.” Beyond this, there was made a call for the First National Assembly of the Committee for National Refoundation that will be held on 2 May. 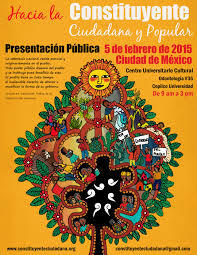 In observance of the second anniversary of the murder of Bernardo Vásquez Sánchez, the Oaxacan Collective in Defense of Territory organized events in Oaxaca and Mexico City to publicly presents its report “Justice for San José del Progreso,” the fruit of a Civil Observation Mission carried out in November 2012. The report speaks to the systematic human-rights violations produced by the imposition of the mining project which has been overseen by the Fortune Silver Mines company since 2006. The report notes that, beginning at this time, the firm has enjoyed state and federal governmental support in its principal violation of the rights to life; to free, prior and informed consent; to public information; to respect for collective property and integrity of land; to free self-determination; to a clean environment; to communal health; to the rights of children, adolescents, and women; to association and meeting; to freedom and personal integrity; and to the right to the administration of justice and to the work of human-rights violations. All these rights are recognized as such at the national and international levels. The document includes recommendations for the federal, state, and municipal government. Among these is found the stress on placing the rights of citizens above the interests of mining corporations and to guarantee the right to life, physical and psychological integrity of the people of San José del Progreso. It also calls on the government of Canada to request that it assures that Canadian mining firms be called to justify themselves before the Canadian legal system due to human-rights violations committed outside the national territory.